High Quality Content by WIKIPEDIA articles! Medabots was originally an Imagineer video game released in 1997. The game was later adapted into a Japanese anime television series produced by Bee Train. Spanning 52 episodes, the series originally aired on TV Tokyo from July 2, 1999 until June 30, 2000. Medarot Damashii, a thirty-nine episode sequel to the anime series that was produced by Production I.G, aired from July 7, 2000 through March 30, 2001. Both the series and its sequel are licensed by Nelvana. 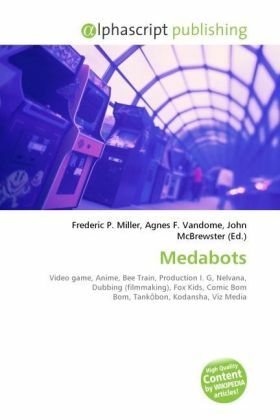 The Nelvana English dubbed version of Medabots on the Fox Kids network from September 1, 2001 through November 2, 2002 and was one of the channel's highest rated new series' at the time. Medarot Damashii followed a year later, airing from September 13, 2003 until March 7, 2004.